There’s nothing more boring than hitting the gym while on vacation when there’s a more enchanting and versatile gym right outside. Trail running in Sheridan, Wyoming is one of the best ways to get your workout in and explore the area. We’ve compiled a list of five reasons trail running is an activity you should try in Sheridan this summer. Enjoying the Bighorn Mountains by way of trail running comes with rewards greater than you can imagine. Running the intricate trails of the Bighorns means covering more ground than a traditional hike, while facing the same incredible landscapes as you sail across the grassy meadows of Soldier Ridge Trail and through alluring formations of the Tongue River Canyon. You may even feel compelled to stop for a moment to revel in the beauty that the Bighorns hold. With the great network of unique trail systems throughout Sheridan and the Bighorn Mountains, it’s unmistakable why trail running has become such a staple. No matter where you come from, an escape from reality is always a true breath of fresh air. More than getting out of the hustle and bustle of the city, trail running at over 8,000 feet above sea level is an opportunity to inhale the cleanest air this side of the Mississippi. With trails miles away from the nearest paved road and deep in the Bighorn National Forest, the beauty of the lodgepole pines and the sounds of the wilderness will eliminate the need for headphones or other worldly distractions. When you run the trails in Sheridan, you go where western icons like Buffalo Bill Cody and pioneers on the Bozeman Trail once trod. 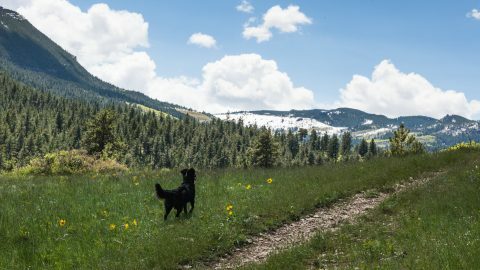 When the Eaton brothers relocated Eatons’ Ranch, the country’s oldest operating dude ranch, to the base of the Bighorn Mountains in 1904, we’re sure they did it with intentions of providing pristine mountain trails for trail runners to enjoy for years to come. The annual Wolf Creek Wrangle, hosted at Eatons’ Ranch in September, is the perfect opportunity to compete for prizes in the 5k Run/Hike, 10k Run/Hike, or the Half-Marathon and run where the settlers of the west once walked. This race will take you back in time to when the west was just being settled. Pathways through parks and protected wilderness areas in Sheridan offer the convenience of amenities while providing the same great feeling of running outdoors. 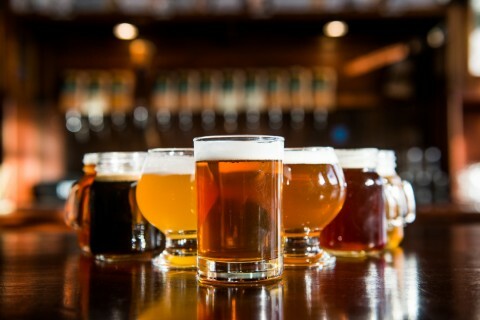 Start on one end of town at South Park and make your way to the center of town where you’ll find the perfect post-workout refreshments at Black Tooth Brewing Company, Luminous Brewhouse, and Smith Alley Brewing. Food trucks located in the area will offer delicious options to refuel, as well. Take a seat and relax while listening to the live music of local artists at any one of Sheridan’s world class breweries. 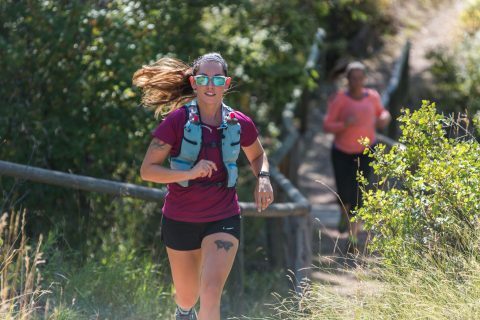 Sheridan and the Bighorn Mountains offer miles and miles of trails: enough to say, get you in the best shape of your life and ready to compete in one of the country’s most epic trail running race in the history of trail running. Lucky for you, the Bighorn Mountain Wild and Scenic Trail Run takes place right here at the base of the Bighorns! Now that you’ve explored the systems of trails that run in and around Sheridan, you’ll be more than prepared to tackle 100 miles of trails, 20,500 feet of ascent, and 20,750 feet of descent through the Bighorn Mountains. With every step you take, you’ll go deeper into the wild beauty of the Bighorns, inhale the cleanest air, pace over miles of trails once traveled by Native American’s and pioneers of the west, and once you cross the finish line, we’ll be waiting for you at this finish line with a cold one. Well, what are you waiting for? The trails are calling your name and you must go! Lace up your sneakers and explore Sheridan the right way.